Aubrey Ward is a student at the University of Houston and is an ISA Featured Blogger. He studied abroad with ISA in Wellington, New Zealand. 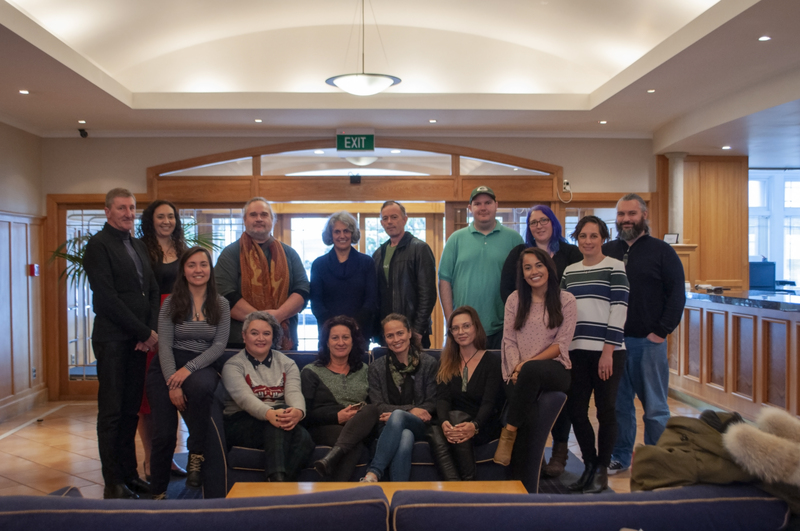 During the internship portion of my study abroad trip, I was lucky enough to be placed with Huia Publishers, a publishing house devoted to Māori authors and connecting Māori stories to the rest of the world. Before departing to New Zealand, I knew very little about its indigenous people. I was interested in learning more about Māori culture, but I didn’t anticipate it being the cornerstone of my internship experience and my favorite part of the whole study abroad program. I think this speaks to the importance of internships in general, but more importantly, to the necessity for a clear company mission and a commitment to that mission from all the people involved. One of the best examples of Huia’s various endeavors to enrich the Māori literary community is Te Papa Tupu, a program for emerging Māori authors. Te Papa Tupu gives select writers support for their manuscripts with a stipend to encourage consistent writing, guidance from a mentor, entrance into writers festivals, and much more. Huia hopes to nourish the habits, crafts, and techniques of these authors in hopes that, by the end of the six-month period, they will have a manuscript worthy of publication. I was lucky enough to attend the first 2018 Te Papa Tupu workshop, and it was truly special to witness Huia’s dedication to Māori writers at work. The workshop environment had a magical feel to it, full of inspiration, learning, and an invigorating passion for storytelling. 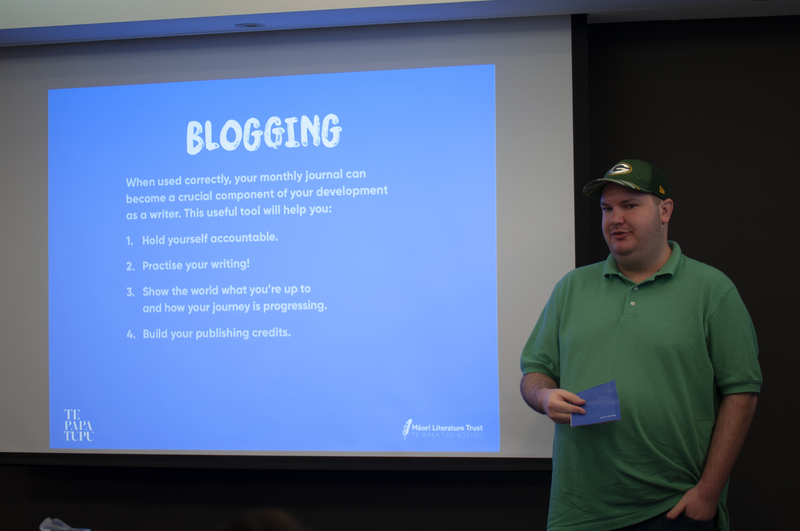 I talked with the writers and their mentors, and I helped with a PowerPoint presentation, speaking to participants about good blogging habits (they will post monthly journal entries online about their progress through the program). I gave a brief presentation about good blogging habits for the benefit of Te Papa Tupu participants and their monthly journal posts. Te Papa Tupu was my favorite part of my time with Huia, but there were many other projects I worked on that began with the underlying goal of catering to Māori needs. Each day, I felt this goal at work, both in the work I did and in the people around me. From editing to marketing and everything in between, that same goal was always there, driving the team forward. I cannot stress enough how important this was. It made the work more enjoyable and meaningful, and it kept things clear and focused. From my first day to my last, I felt like I was contributing to something larger than myself, and wherever I work in the future, I hope to find similar forces at work. Moreover, I felt comfortable. I felt like I was a valued member of the team and like I was really contributing to the cause. I felt like much more than an intern. In my opinion, this sort of fulfillment should be the goal of any intern, and it should be the goal of the host organization to help the intern get there. Huia achieved this goal beautifully, and by doing my part, I achieved it as well. I became immersed, and it wasn’t long before I considered myself a real member of the Huia family. The practical applications of an internship are important—the hands-on experience and the accountability, discipline, and work ethic that are necessary for success. But there is also the intangible importance of a familial environment, teamwork, innovation, and becoming a part of something larger than ourselves. This is what I will tell future employers about my time in New Zealand, and this is what made the time so impactful for me, not only professionally, but personally as well.